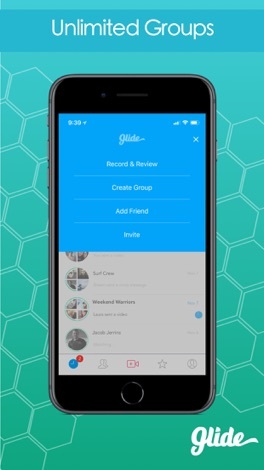 Glide is the fastest live video messenger app on the planet. 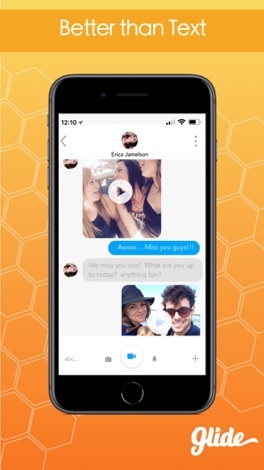 It combines the convenience of text and voice messages with the expressiveness of video chat. 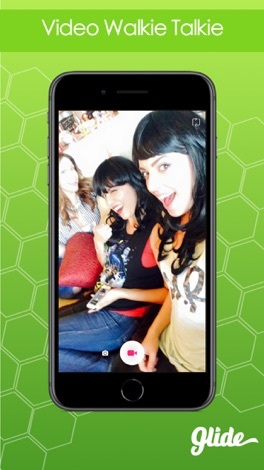 Now you and your friends/family can share real moments as they happen, and enjoy quality video interaction. • Emoticlip messages are short, animated videos with fun characters - try them out! ▶ Own an Apple Watch? Get Glides directly to your wrist! 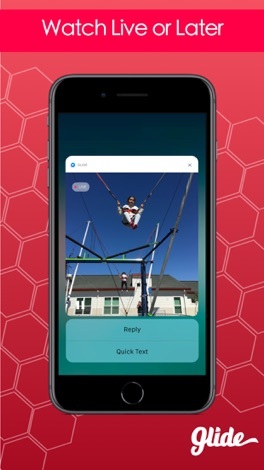 Watch live videos, respond with texts and emojis. Video messaging on the Watch is changing the way we communicate on the go. • The length of the renewable subscription depends on the plan you choose. • Subscription automatically renews unless auto-renew is turned off at least 24 hours before the end of its current period. • Account will be charged for renewal within 24 hours prior to the end of the current period, by the original amount you paid for the subscription. • Manage your subscriptions in Account Settings after purchase. • Your first purchase of a Glide subscription includes a 3 month free trial. • You are only eligible for 1 free trial. • Any unused portion of a free trial period will be forfeited when you purchase a full subscription.